Charles Free rambles even more than usual on his latest Taterbug release, abstracting his porch-based and jack-o'-lanterny psychedelia into some frontier-based nightmare, heavy on the ghost town feelings but with the damaged Americana and weird little brother eclectism of Boys Of The Feather. "Crash your phantom taxi into my unbuilt home". Apparently he's building some sort of shack out in the backyard of Night People/Wet Hair's Shawn Reed yard-- a perfect space for the early morning ranch wails he's so good at channeling with this modern, relatable lo-fi. 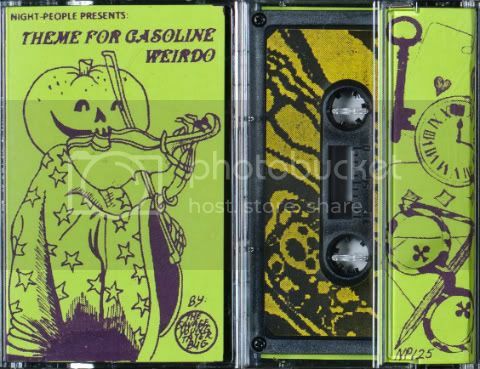 Theme For Gasoline Weirdo tape is out on Night People.